Welcome to Long Beach Real Estate. Long Beach, California is well known for having a diverse housing market with luxury hi-rise condos to older historic homes. The city itself is very large and has many unique areas with their own personality and real estate prices. 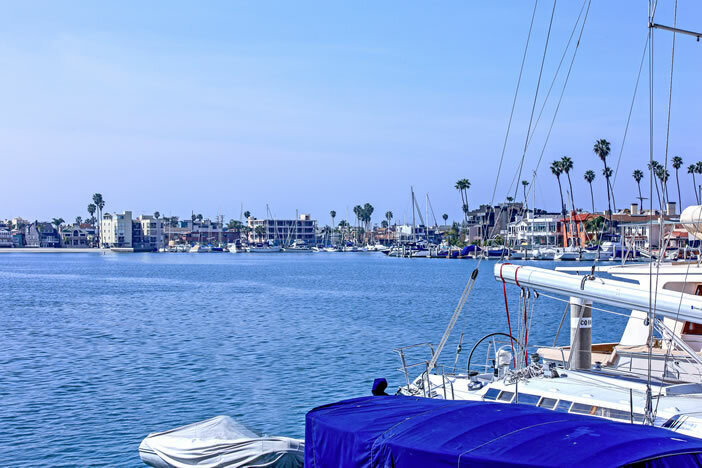 Our goal here at Long Beach Real Estate is to expose this great neighborhoods and showcase the available homes and condos in these individual neighborhoods. For those considering buying a condo in Long Beach there is no better place than the downtown area. What's important to note is that each of the luxury hi-rise buildings will have different amenities and various homeowners association dues. Depending on what you are looking for will determine the right condo building for you. Nearly half the properties on the market in Long Beach are residential condos so there is a large selection to choose from. Some of the best and well priced properties tend to sell very quickly in this market. Unlike other beach towns in Southern California it's not unusual to find a condo for sale in the $100,000 range with single family homes price in the mid $200,000 range. These can be distressed short sale or bank owned properties which a lot of buyers are looking for in today's market. These properties are often priced below market value for a quick sale. Below are brand new listings to hit the Long Beach market in the last 7 days. Long Beach has many diverse neighborhoods that cover a huge area that boarders the cities of Lakewood and San Pedro. There are homes and condos in all price ranges starting from a $100,000 condo to a $10 million dollar water front home. Long Beach has so much to offer and has one of the biggest shipping ports on the entire Western coast. Due to the many communities to choose from we encourage you to contact us so that we can guide you in the right direction. There are many nuances to each of the different areas in Long Beach that offer advantages and disadvantages to them. Working with a local Long Beach agent will help you make a solid investment and buy a home in the right neighborhood. There are a total of 24 areas in the Long Beach area. This includes the areas of Belmont Shore, Carson Park, Eastside, Lakewood Plaza, Park Estates, Downtown area, Bixby Knolls, Westside, Lakewood Park, Lakewood City, South of Contant, Los Altos, University Park Estates, El Dorado Park, North Long Beach, Poly High, Belmont Heights, Lakewood Mutuals, Lakewood Village, Stratford Square, Artcraft Manor, Bixby Hill, Wrigley Area and Signal Hill. Our Long Beach home search covers all these areas so we encourage you to search based on your price range and criteria for a home. We also provide phone assistance as well. Please contact us at 562-355-8228 today.